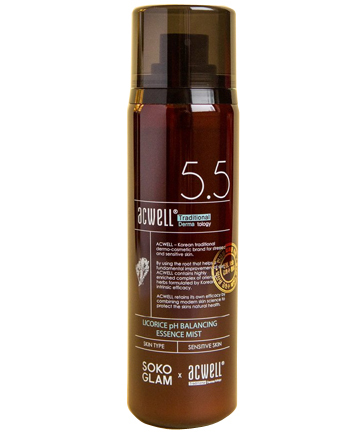 Newly curated at Soko Glam, Cho says that this popular emulsion is great for giving skin "a burst of moisture." Adding that "it's also versatile for oily to dry skin types and keeps your skin barrier hydrated and protected during the cold, frigid winter months." "There is a huge trend in double serum-ing, where Korean women are layering different serums to treat multiple skin concerns," Chang says. And that's where the team's newest venture comes in: The Sweet Chef line, which launches on Glow Recipe and at Target at the end of January, includes three different serums meant to be mixed and matched, combined and layered. 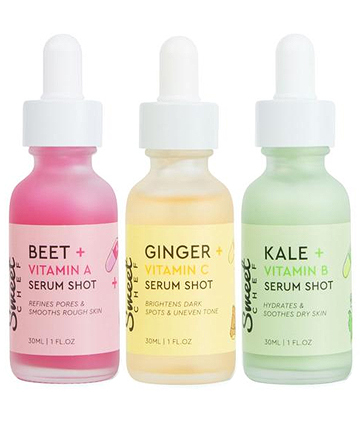 "The Sweet Chef Ginger + Vitamin C Serum Shot helps with brightening, the Kale + Vitamin B Serum Shot is great for hydration and the Beet + Vitamin A Serum Shot assists with refining pores," explains Lee. 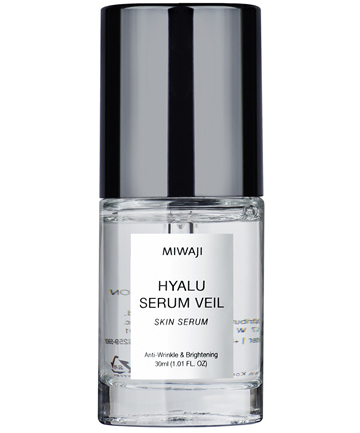 "The textures of each serum are different, ranging from being essence-like to jelly or milky in texture." Yoon predicts that micro-spicules — a new technology that's often compared to micro-needling — will start to gain popularity in 2019, explaining that they "help enhance absorption and also cell renewal." As for this particular product, she notes, "The reviews are unparalleled when it comes to helping to improve all manners of scarring, including ice pick marks." And though the term "micro-spicules" might sound scary, there's really nothing to fear. "The formula looks just like a serum — you can't visibly see the spicules — but upon application, it's tingly and then sinks right in," she says. "The tingling lasts just for a short while, but it's very active and you can tell it's working hard for your skin." Lee agrees that micro-spicules will be big this year, noting the "clinical trend" making waves in Korean skin care lately. "It's all about preventing aging in a very new approach," she says, citing Sephora newbie brand Private Doctor as an example of this trend. Of the line's Minus Serum, she says, "It has a really interesting blend of ingredients, including micro-tingling spicules, which help to create pathways into the skin to aid penetration of the formula. It also has sodium dexoycholate, which is an active that's been used in in-office slimming procedures and we've never seen it used in skin care before." Have you heard of glass skin? As Yoon explains, the term refers to "poreless, luminous, translucent skin like a pane of pristine glass, that really reflects what skin looks like when it's at its healthiest" — in other words, it means the radiant complexion of your favorite K-pop star. 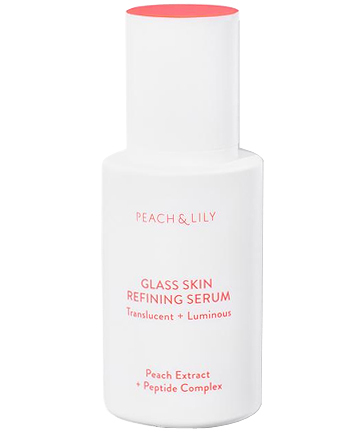 Her new line includes a serum, designed for the express purpose of making "achieving glass skin super easy." This is thanks to its "clinically proven ingredients" and "super clean formula" that includes skin-loving ingredients like niacinamide, peptides, hyaluronic acid and more. "A product category we see expanding in Korea is the fog mist," says Chang. Fog mists are pretty much exactly what they sound like: As Chang puts it, "They do all the heavy lifting of a regular mist but in this ultra-fine spray that envelops you." Another bonus? 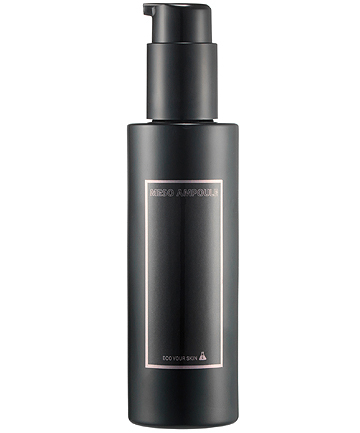 This spray mechanism makes fog mists extra ideal for setting and touching up makeup. 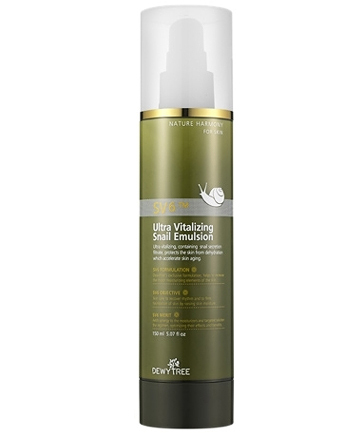 "Sarah and I like to mist the Make P:rem Safe Relief Mist right over your makeup because it just gives you that perfect dewiness without messing anything up or smudging," says Chang. She also notes that this particular mist is laudable for its "very clean, short ingredient list." Looking for another great face mist option? This one, which builds on the success of the Acwell Licorice Toner (which once boasted a 2,000-person waiting list), is quite the treat. "I love this multi-functional hydrator because it brightens, refreshes skin and also is a great way to set your makeup," says Cho. And since it's made with brightening licorice extracts, you get plenty of skin care benefits too! This multi-tasking product serves as a serum, moisturizer and sleeping mask — which means Yoon's description of it as "cosmetic wizardry" couldn't be more apt. She says that the "thin transparent veil" is more than capable of "locking all the moisture and ingredients into skin overnight." Usually, when you think of Korean beauty, you're thinking skin care and makeup, but it can also mean body care. 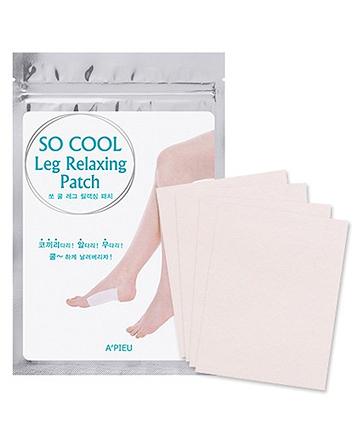 "I've always had these cooling leg patches from A'Pieu on my radar to curate to Soko Glam, as they've been a staple in Korean households to soothe tense and sore muscles," explains Cho. The thin, gel-like patches feel so nice, thanks to ingredients like peppermint and rosemary extracts. "They're great for after a strenuous workout or after a long day on your feet," she adds. Yoon is also forecasting a rise in popularity in "dry" sheet masks like this one, which is made with hydrogel. "It's dry on one side and semi-sticky on the other side and that's actually the essence that was baked four times over into the mask material melting straight into the skin," Yoon says. Oh, and you know what else makes them cool? "You can actually wear this mask overnight and it won't dry out." "Another product category that is really exciting is the variety of pad formats we are seeing," Chang says. This of course includes cleansing pads, like the one listed here. "The great thing about it is that it's very different from your normal cleansing wipe," explains Chang. 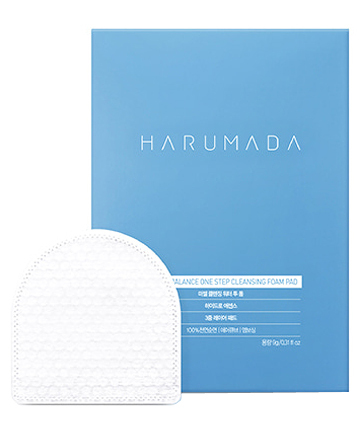 "The pad is really loaded with amazing treatment benefits on top of cleansing ingredients, so that you leave skin very soft and supple even after cleansing." Lee and Chang are also partial to their team's own take on the skin care pad trend. 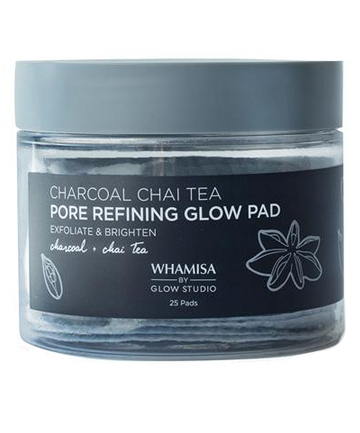 As part of their Target-based collaboration with Whamisa, they recently came out with some charcoal-infused exfoliating pads. "It's not just your typical exfoliating pad, but it also helps to refine pores, hydrate the skin and keep it very gentle all at the same time," Lee says. Looking to give your skin care routine a makeover for the new year? Luckily, there are so many exciting new products to choose from… particularly in the world of Korean skin care and beauty. We asked K-beauty experts like Charlotte Cho (founder of Soko Glam and Then I Met You), Sarah Lee and Christine Chang (co-founders of Glow Recipe) and Alicia Yoon (founder of Peach & Lily) about all the new products they’ve been curating, creating and testing lately. According to these pros, there’s a lot to look forward to this year: “We see 2019 being a big year for K-beauty,” says Chang. Similarly, Yoon says she’s expecting to see even more “innovative ingredients and textures and delivery formats” moving forward. 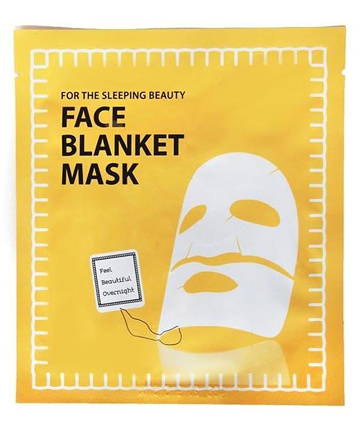 So, if you want to stay on the cutting edge of Korean beauty, keep on reading to see some truly awesome expert-approved picks — from fog mists to blanket masks. The post 12 Breakthrough Products K-Beauty Experts Say Will Be Huge in 2019 appeared first on theFashionSpot.